Maintaining financial health is a priority that remains with us until the day we die. Over the years, we tend to grow in knowledge and experience to make smarter decisions in almost every aspect of modern life. However, monetary issues are something that can impact us all – regardless of how old or wise we may become. Senior citizens may avoid a number of problems hurting younger generations. On the other hand, they may be more vulnerable to other mistakes than anybody else. So whether you’ve hit retirement or you’re a concerned child wanting to help your parents doesn’t matter. Being aware of those traps is the only way to avoid them. Go the extra mile to avoid these common pitfalls, and those financial landscapes will look brighter than ever. Property is an important asset in our lives both financially and logistically. Throughout the majority of our lives, keeping hold of that possession is hugely beneficial. Once you hit retirement, however, it might be better to consider downsizing. 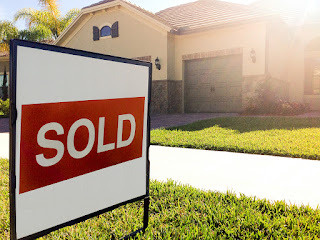 Selling a property doesn’t need to be as difficult as you first fear. Moreover, it will save you the cost and hassle of adapting the home to suit your changing mobility and requirements. Many senior citizens also find that being in an environment built for retired residents is more comfortable too. Those setting can range from care homes to residential retirement apartments. Given that downsizing will free up money to enjoy other aspects of life, it’s hard to see why so many put up with struggling in their old family homes. After a lifetime of paying taxes, you’d think retirement would bring an end to those issues. Sadly, that just simply isn’t the case. 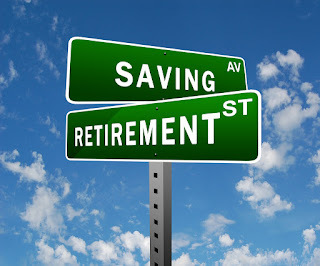 Therefore, appreciating the full details regarding this area of retirement is key. Withdrawing your pension can be considered an income, so that will influence tax situations greatly. Visit kiplinger.com for more info on how various retirement revenues are taxed. Once you have a clearer picture of the situation, you’ll be ready to make far smarter decisions. If there’s one expense that will soar during later years, it’s medical costs. As we age, our bodies require additional attention and support to remain healthy. Without the necessary precautions, this can end up harming your financial health dearly. Knowing about financial support, including tax credits and discounts will give you the best chance of keeping control. Meanwhile, it’s imperative that you understand the entitlements offered by your insurance plans. Prescription discount counts can be extremely useful also. Appreciating the full situation won’t only aid your finances. It’ll additionally give you a better chance to concentrate on those elements. Nobody wants to think too long and hard about death. Nonetheless, it is something that needs to be appreciated. This is especially true if you want to avoid causing problems for the loved ones that you’ll leave behind. Taking out a suitable insurance package should be top of the agenda. Learn more about senior citizen plans at lifeinsuranceforseniorsover80.com to make smarter choices. Meanwhile, writing a will is another item that you cannot ignore. The last thing you want after you’re gone is to see family members miss out on what they deserve. Being in control of these issues will aid your loved ones during what will be a difficult time for them. Perhaps more importantly, it gives you the sense of self-satisfaction needed to enjoy your remaining years. Even if you take the necessary steps to keep your finances in good health, there’s always someone ready to make life harder. Unfortunately, fraudsters and scammers often see the elderly as easy targets. Do not let yourself become a victim. A little research goes a long way, and learning about these common scams will help you stay protected. However, there are plenty of other methods out there. If you ever feel that someone is trying to take advantage, end the communication. It’s always better to be safe than sorry. Above all else, never hand over personal data that could be used against you. Frankly, dealing with the financial and emotional fallout is the last thing you need at any age.